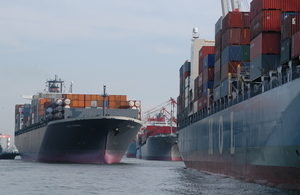 At the Port of Nagoya, port tariffs are broadly divided into those levied by the Port Authority and those collected by private companies. We are striving to introduce various quality services in order to develop an efficient and user-oriented port. These efforts include introduction of a variety of incentive programs to achieve lower port costs and more efficient operations.